This year, I have the opportunity to enhance my skills as an athletic training student at Christian Brothers College (CBC) High School. At CBC, I am currently covering football, soccer, and cross-country. My preceptor, Kristin Jeans ATC, LMT, who works at CBC through Mercy Sports Medicine, has made the opportunity a remarkable experience. At the guidance of Kristin, I am able assess and treat injuries by applying the knowledge I gained from my previous clinical settings and lectures. As I apply my techniques, Kristin has been very interactive and responsive with my approach, which has enhanced my clinical judgment and confidence as an athletic training student. 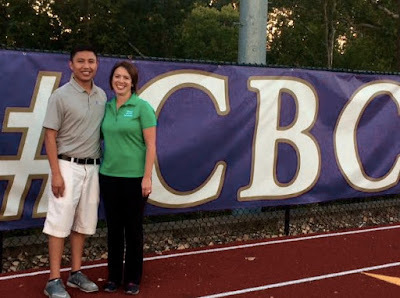 Moreover, at CBC I am able to enhance my knowledge and capabilities of manual therapy. As a Licensed Massage Therapist (LMT), Kristin has been able to demonstrate various massage techniques for muscular related release for the body. The techniques used have been beneficial for pre- and post-treatments. As a strong believer of manual therapy, I have learned tremendous massage therapy skills that I will consistently utilize. 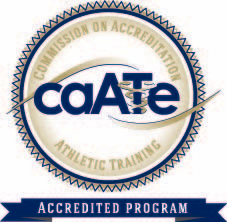 Lastly, at CBC I am able to improve and gain more knowledge focused on rehabilitation. Rehabilitation has always been an interest of mine, so being able to integrate and learn skills from a clinical site and preceptor, like Kristin, has been a great component to my confidence as a future athletic trainer. Overall, Christian Brothers College High School has been a great site. I am continually excited about the skills I will learn throughout the year.